RMC Learning Solutions™ (formerly RMC Project Management), one of the fastest-growing professional development companies in the world, is proud to announce that Barbara Carkenord, Director of our Business Analysis Practice has been elected to the Board of the International Institute of Business Analysis ® (IIBA). As the Director of Business Analysis at RMC Learning Solutions, Barbara combines her entrepreneurial and management experience with her love of education and business analysis to promote the development of the business analysis practice. During her career Barbara co-founded two successful companies and worked in varied industries including manufacturing, financial services, and software development. Barbara has worked as a leader, manager, mentor, consultant, trainer, accountant, and technical writer. She has written numerous books, articles, blogs, and training manuals all aimed at helping other professionals enhance their skills. In 2010, she was named the Small Business Woman of the Year by the Georgia Women in Technology. 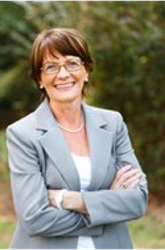 Barbara served on a small business board, The Alternative Board (TAB) and mentored small business owners. Barbara’s focus on critical thinking and increasing business value drove her to help define the business analysis profession. As an early IIBA Member, she worked on the development of the worldwide standard for business analysis, the BABOK® Guide. Barbara continues to volunteer with the IIBA mentoring, writing, presenting, and promoting the organization and its principles. Founded by Rita Mulcahy in 1991, RMC is the worldwide innovator in Project Management, Business Analysis and Agile training and professional development. Over the last 20+ years, hundreds of thousands of students in over 60 regions across the globe have utilized one of RMC's proprietary professional development resources, classes, or e-Learning courses to expand their knowledge and further their careers. Today, RMC offers a wide range of innovative project management, business analysis and agile classes and products to help beginners, advanced practitioners, and experienced professionals improve their skills and knowledge as well as prepare for certification.